All of you who read my blog on a regular basis will know that I don’t like to leave the babies out of activities just because they’re small. I believe babies should be included whenever they can, fostering a positive sense of self and creating excellent social skills at a young age. It is no different when it comes to bento lunches. Here is one of our baby bento lunches up close… *All the tiny cut-outs were made using cutters similar to these from allthingsforsale.com. I have not been able to find the exact set online for you yet. I purchased mine in Japan. *Silicon cups were purchased in the baking aisle of our Superstore grocery market. 1. 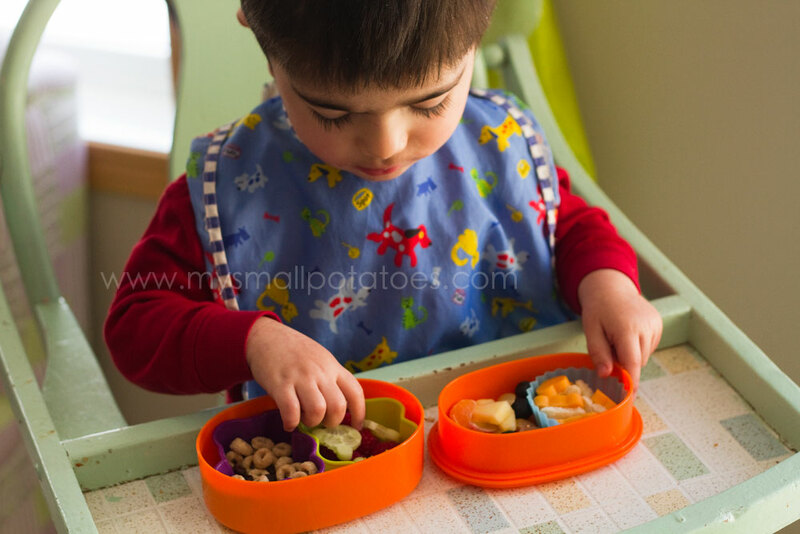 Bento lunches are perfect for mastering the pincer grasp. Babies have to get their little fingers into the cups and pinch their food in order to get it out. 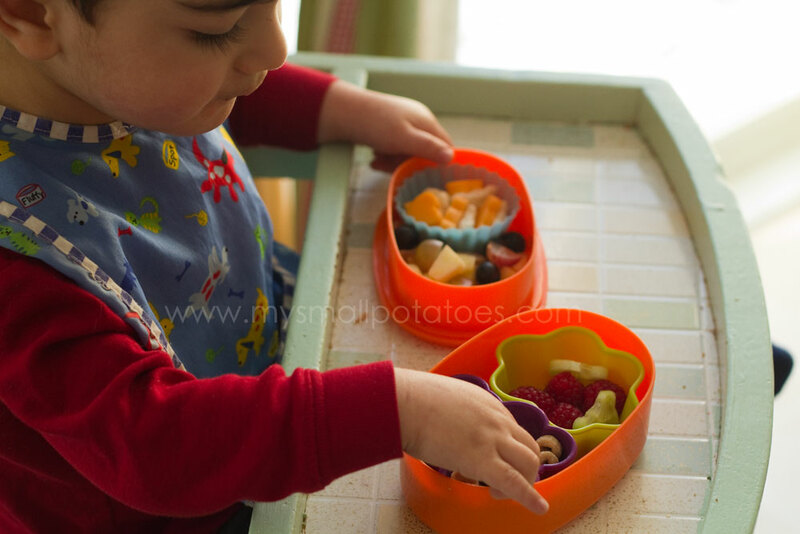 Yes, some babies will pick up the cup and dump it out, but they still will practice their pincer grasp by picking the food up off the chair’s tray. 2. 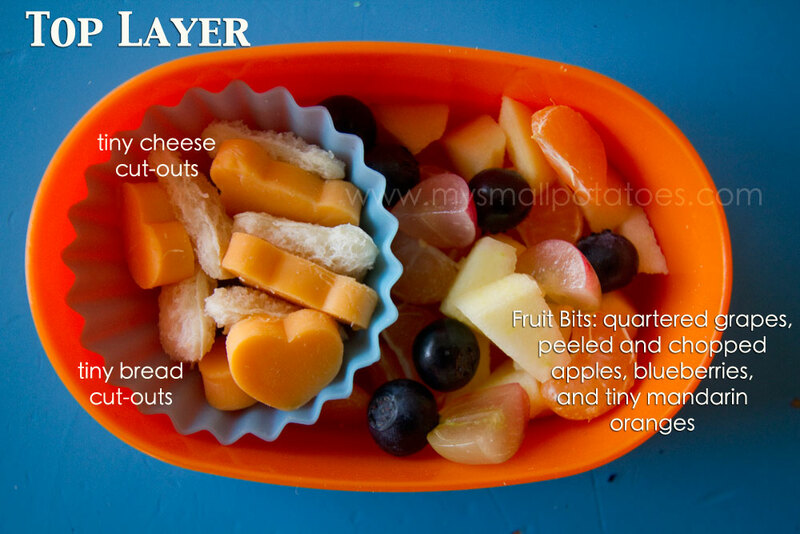 Bento lunches are perfect for presenting new and foreign foods to your baby. 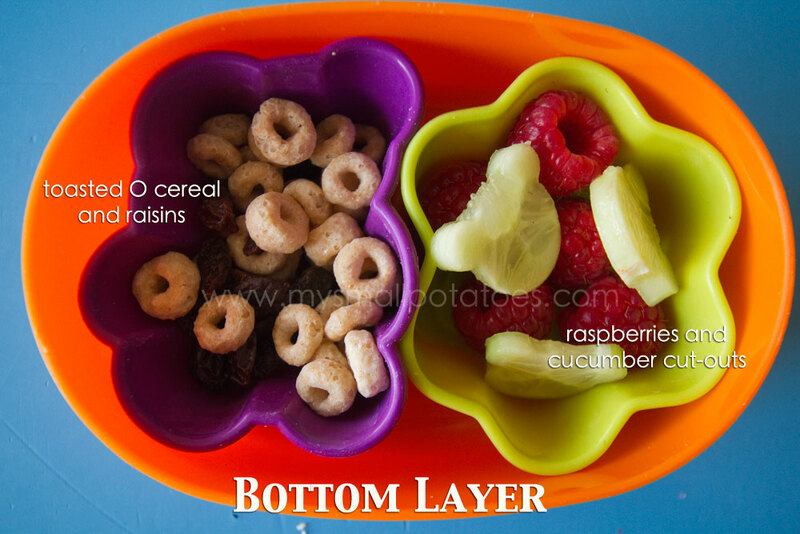 Using little portions gives way to plenty of space to fill the bento up with a variety of foods. 3. Bento lunches are cute. They are more attractive than a pile of food on a plate, which gets baby’s attention. Enough said. 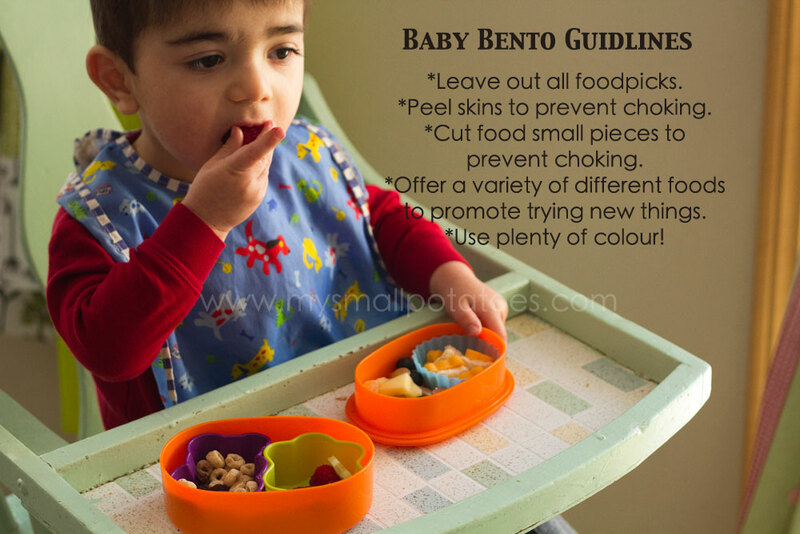 Here are a few guidelines to remember when building your baby a bento lunch… Happy Bento-ing! 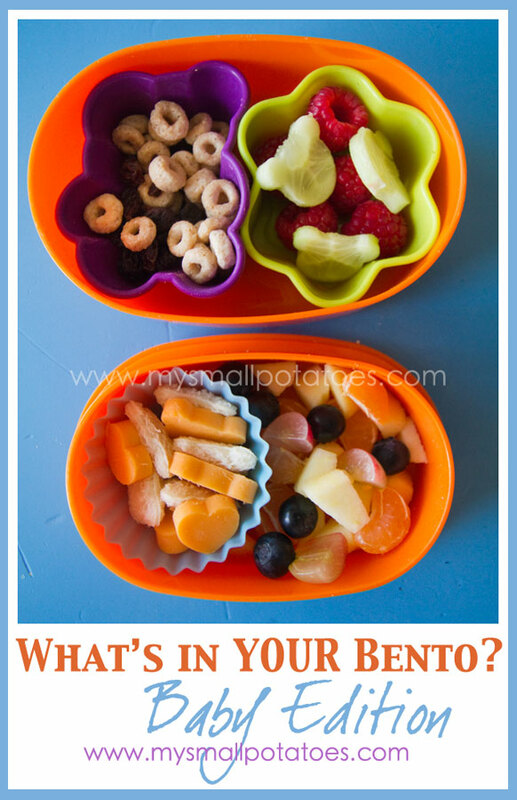 Posted in Baby Potatoes, Bento Boxes, Childcare, creativity, Early Childhood, Fine-motor skills, Food, Fussy eaters, Japan, Lunch, Meals, Nutrition, picky eaters, Uncategorized, What's In YOUR Bento? Reblogged this on Life With Kikay Galleries.